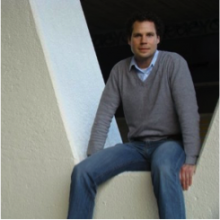 Martijn - Mobycon’s teamlead ‘Cycling and Behaviour’ - is a passionate consultant in the fields of cycling, road safety and mobility management. His personal interest is the process in which strategic plans are developed. Martijn thinks of end users’ wishes to be one of his core businesses. Therefore, he keeps good relation with involved stakeholders. Finding new ways to connect public and private sector or leveraging technological tools in a creative way as well as looking at new possibilities is what inspires Martijn. Martijn studied urban planning, marketing and business management, which gives him an unique perspective of examining behaviour as it relates to mobility. DCE expertise: Cycling, road safety, mobility management, behavior, participation and stakeholder management, process management. DCE experience/projects: For the Dutch Cycling Embassy, Martijn presented at the NACTO congress ‘Designing cities’ in Austin (US) in 2015 and contributed to the DCE project ‘Route map towards a National Plan to promote cycling in Ecuador’ (2014 – 2015).